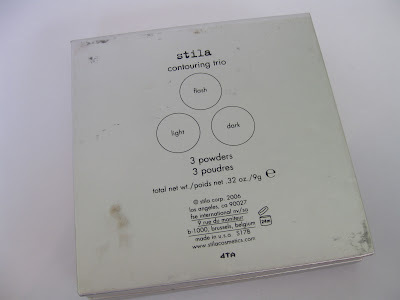 I purchased the Stila Contouring Trio months ago (like earlier this year I think) and realized that I've never reviewed it! I use this on a daily basis as it's one of my favorites to use for contouring/highlighting so I figured it's about time I share this super sweet deal with you all. I bought mine on Ebay but I know that AllCosmeticsWholesale has it for $9.99 and Stila has it for $16. I believe it used to be sold at Costco (not positive) but they don't sell it there anymore. The Packaging: The silver cardboard packaging is rather ugly and bulky -not my favorite for travel. But because it's so ugly, I don't mind getting it dirty and scratched up. It's what's inside that counts right?! On the upside, there's a mirror inside and some LED lights that frame the mirror. I can't comment on the lights as I haven't pulled the tag (to turn on the LED lights) yet because I really don't want to be bothered with the bright light everytime I use the powders. The Product: Now for the good part. The palette is only $16 retail ($10 and lower at other places online) so this is a great value even though we have to suffer and put up with ugly packaging. The powders are all finely milled, blend easily, don't irritate my skin, and last for about 5 hours on bare skin. Flash (top middle) does feel a tad bit gritty due to its silver shimmer but I can deal with it. Flash is best used as a highlight for going out or mixed in with another blush. Dark, the shade I use most, is great for contouring without being obvious. It's fairly matte although there are little specks of (barely noticeable) shimmer. Light is a nice highlighting shade -I switch off between this and my other highlighters. Sometimes I want more shimmer and sheen but Light is great if I want something more natural. Dark (bottom right)- Satin warm brown with the slightest bit of shimmer that looks more like a nice "sheen." It looks overall matte once it's applied. Light (bottom left)- Satin pale ivory highlight with a nice sheen. 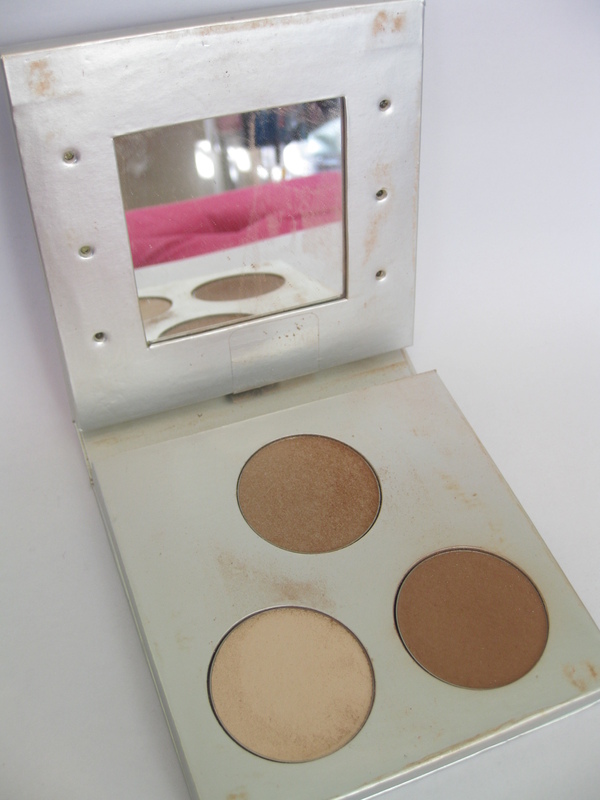 Overall: This is an excellent palette for all your basic highlighting needs. 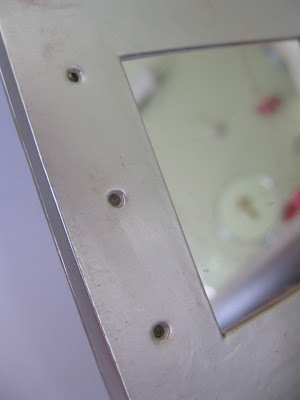 It's cheap, efficient, and works like a charm without all the fuss. I used to have the Coastal Scents Contour palette (which I hated!!) and this is 100 times better. I highly recommend scooping this us -the only downside is that you'll have to order it online. so, I need to start studying some highlight tutorials asap cause' I personally wouldn't know what to do with this trio. I have some highlighter in my sephora palette but it's brand new, haven't used it yet. Just look up some videos on YouTube and I'm sure you'll get it down. I use the darkest shade to contour in the hollows of my cheeks, my temples, and along my jaw line. You could also use it to contour your nose. Then I apply my blush on the apples of my cheeks. I use the highlight for along my cheekbones. Just be sure to blend! Do you think this would flatter more fair skin tones too? It looks really nice. The brown is a little warm (not sure if you have cool or warm undertones) but with a lighter hand, I do think this could definitely work for fair skintones. I know! =P I always see your posts with all the bronzers and contouring powders. I love contouring too. Thanks! I have cooler coloring, but that helps a lot. You're welcome. If you decide to get it, I hope it works for you! The brown is "just a tad" on the warm side -not overly warm at all. I have this too! 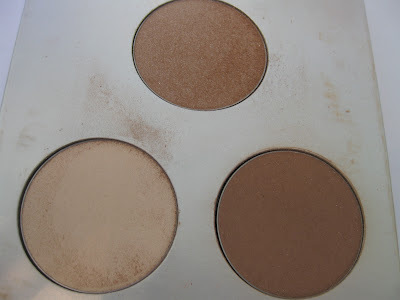 I find the powders hard to blend, which leads me to go for my nyx blushes for contouring most of the time. I put the sticker back on mine to keep the lights off; I wish there was just an on/off switch! WOw, thanks for sharing!! Great find. I have their eyeshadow palette and am shocked that this only retails for that little. What a great deal! I actually think the packaging is a downside lol...my eyeshadow square talks which is quite annoying. I wish they skipped the gaudy packaging and just made a sleeker, thinner palette. @ PoorCollegeStudent.. Oh no! They're hard to blend for you? =( I guess it's different for everyone -I find these A LOT easier to blend though after switching from my Coastal Scents brush to my MAC 168 so switching brushes MAY help. And I didn't know you could put the sticker back in.. good to know! Now I can use the lights if I need to. @ PAG.. You're welcome. =) I think I have 1 or 2 of their eyeshadow palettes too and I agree -great deals (I always get them on sale.) I know which palette you're talking about -a talking palette can be annoying!! LOL.. 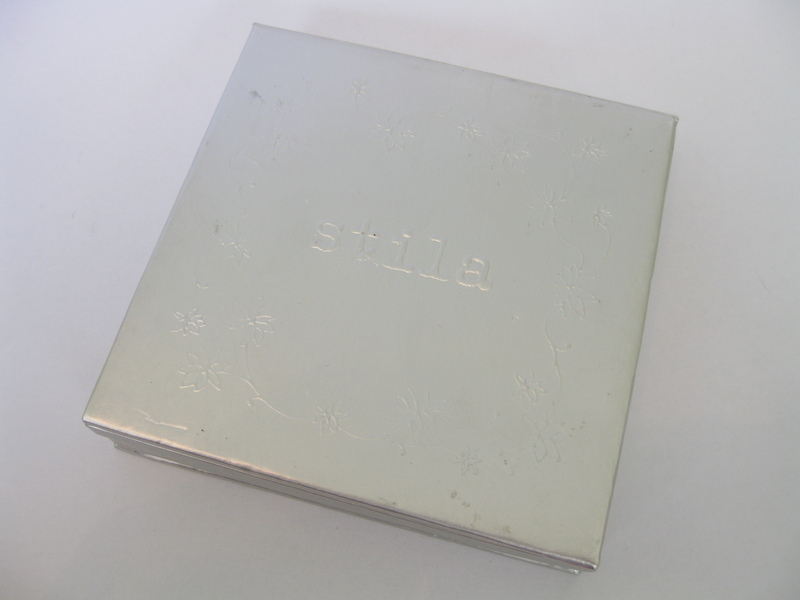 I think the packaging is sort of a let down for this one too as I'd much rather prefer a thinner palette.